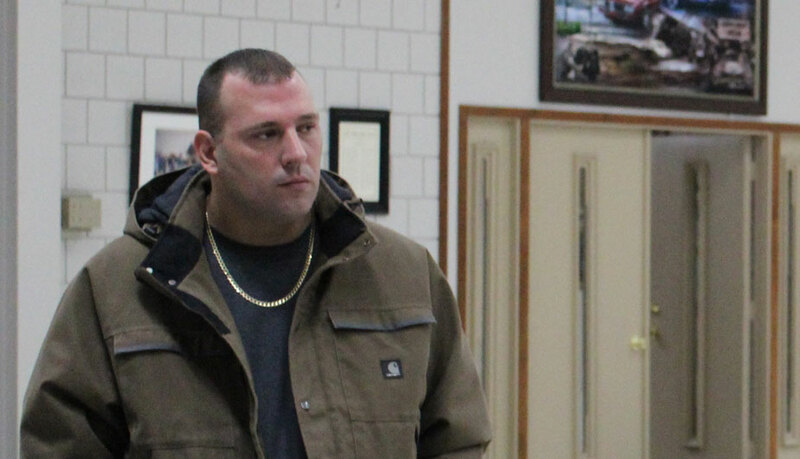 LORDSTOWN, Ohio – Almost every day for more than 50 years, a Wolikow has walked through the doors of the General Motors Lordstown Complex to build whatever the Detroit automaker was pumping out of the plant. Following in his father’s footsteps, Tommy Wolikow started at the plant part time in 2008 and was hired full time in 2013. Four years later, on Jan. 20, 2017, he was laid off for “the third or fourth time. “We were hoping it’d just be a short layoff like the ones I’ve been through before. I held onto that hope for a long time. Today’s a sad day,” he said outside the UAW Local 1112 hall Monday morning after news came out that production of the Chevrolet Cruze would end March 1. Tommy Wolikow, a second-generation GM Lordstown worker, said his father was in disbelief that the plant is being idled. That sort of reaction seemed common. After talking with GM representatives at the plant this morning, Local 1112 President Dave Green said he spent about an hour talking to workers on the last remaining shift before heading to the union hall for the press conference. Beyond the news coming out in the midst of the holiday season, Green noted that it comes just a couple of weeks after an announcement that the Kmart distribution center in Warren – represented by Local 1112 – will be closing early next year. He also mentioned the closing of area retailers like Sears and Toys R Us. Meanwhile, U.S. Rep. Tim Ryan pointed out the announcement in June that it would build the new Chevy Blazer in Mexico on the same day the second shift at GM Lordstown came to an end. 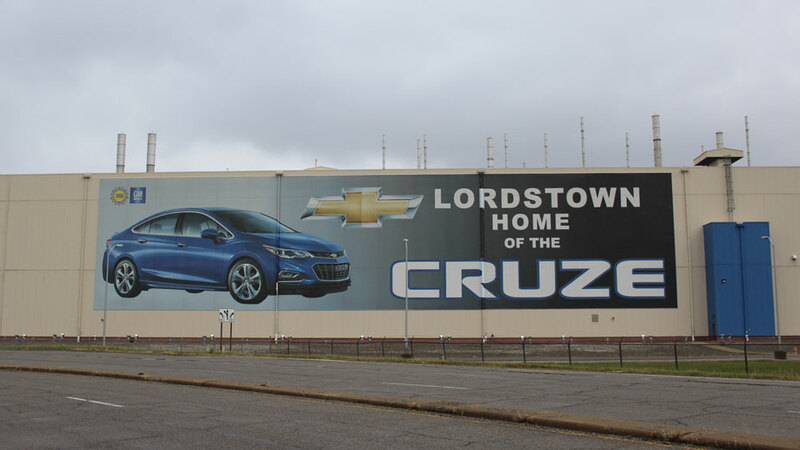 In total, about 1,500 workers at GM Lordstown will be affected by the closure. Beyond that, there are also UAW workers at local suppliers such as Magna Seating and Jamestown Industries that will be affected. For every job at the plant, Ryan said, seven others in the area are impacted by it, a figure that doesn’t take into account the effect of workers who donate time and effort to their communities. Lordstown Mayor Arno Hill says the village is prepared if the plant closes. Production of the Chevy Cruze will also be stopped March 1 at the Ramos Arizpe Assembly plant in Mexico, which builds the car for international markets. In addition, assembly plants in Detroit and Oshawa, Canada, will be “unallocated.” Between the three assemblies and two transmission plants, about 6,300 factory workers are to be laid off, alongside the 8,000 corporate employees that the automaker also announced Monday would be laid off. Part of that effort, he said, is continuing the Drive It Home campaign, launched last week in support of the plant. Among those taking part are officeholders on both sides of the aisle at all levels of government, the Youngstown/Warren Regional Chamber, UAW Local 1112 and business owners. That effort is just the latest made to show General Motors that the community and plant workers will do what it takes to save the assembly complex. In January, the two UAW locals merged under the banner of 1112 at GM’s request to smooth out negotiations, while politicians have met with General Motors CEO Mary Barra several times since the announcement that the second shift would be eliminated to make a case for the plant. 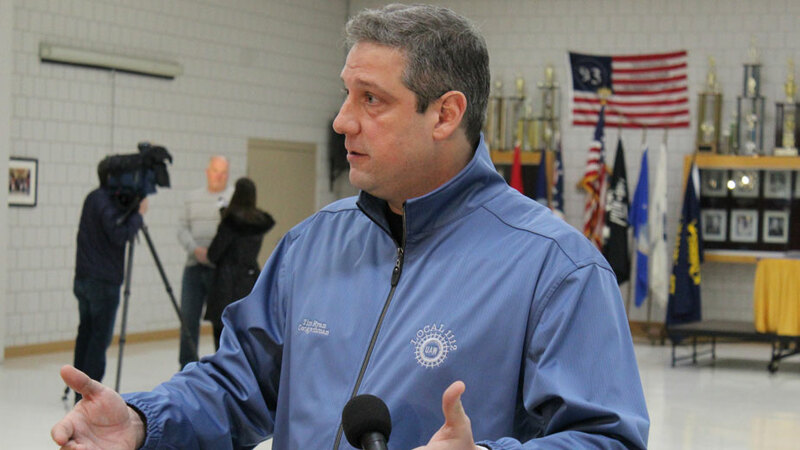 U.S. Rep. Tim Ryan said it was “a bad, bad time” to make the announcement. At the same time, though, Ryan noted General Motors received federal support during the Great Recession and again last year with the passing of the Tax Cuts and Jobs Act. The selling point of both, he said, was that companies would invest money into their plants and workers as a result of the aid. “Companies were supposed to put back into communities like ours and for the third time in a row, the theory has not worked. … Off they go with $2. billion in profits just this quarter,” the congressman said, noting he talked to GM’s director of government affairs after the news broke. Ryan pointed his finger at President Donald Trump, who made several promises about restoring the Mahoning Valley’s manufacturing sector during his visits here during the 2016 presidential campaign and as president in 2017. Lordstown Mayor Hill, meanwhile, looked to trends in the new-car market, where trucks and SUVs are the most popular vehicles. While gas prices were high during the Great Recession, the Cruze and other small sedans were at the top of the sales chart. Cruze sales in the U.S. peaked in 2014 at 273,060. Last year, 184,751 were sold nationwide, the model’s lowest full-year figure since its launch in 2010. 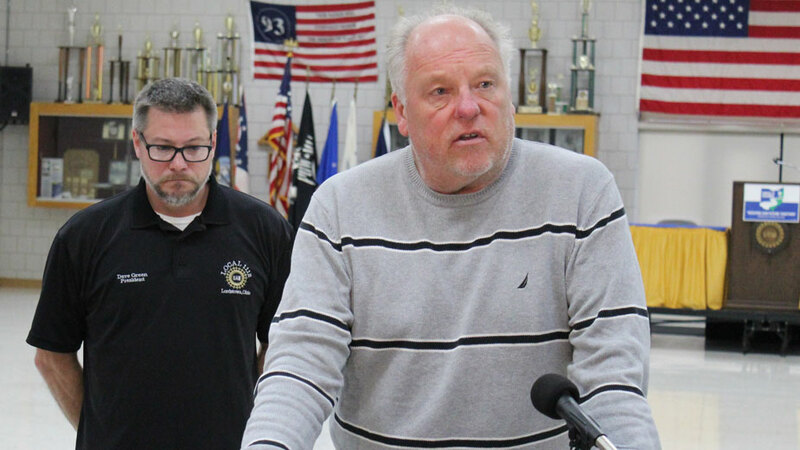 With the national contract between the UAW and the three Detroit automakers up next year, the time for Lordstown to prove its worth is now, Local 1112’s Green said. For Green and Hill’s optimism that things aren’t over yet, not all are convinced of the long-term security of the plant. Wolikow, who has been traveling as part of Good Jobs Nation’s Promises Broken Midwest Pickup Truck Tour to advocate for manufacturing jobs, said he’s hopeful for GM Lordstown’s future, “but the way things are looking, the writing’s on the wall and things don’t look good. Pictured: UAW Local 1112 President Dave Green, at podium, was among those speaking at the union hall Monday.